NB We have removed all links to Vernons Poker as their website seems to be directing to Winner Poker, so we need to investigate whether they have closed down or not. Vernons Pokers has a very easy to navigate lobby as well as convenient betting functions at their tables. It has attractive 3D graphics with soft colours. They have a number of freerolls to help build up the bankroll of players, such as weekly freeroll tournaments, depositor’s freeroll and a monthly freeroll tournament. Vernons Poker has over 20,000 players online during peak hours and will be found at the Hold’em tables. This is where most of the beginners start their Poker gaming and it might be profitable to other players. If you are looking for some serious competition them go along to the Omaha tables. Other games that are on offer at Vernons Poker are Stud, Draw Poker and mixed game variants with limits ranging from $0.01 to $400. Vernons Poker goes back as far as 1925 and is licensed in Alderney. Vernons Poker offers first time depositors a signup bonus of 200% up to 1,250. 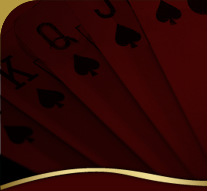 Vernon’s Poker also have promotional offers such as Comp Points that will be rewarded to players when they play for real money, and once players accumulate 15,000 bonus points they will be rewarded with a VIP status.